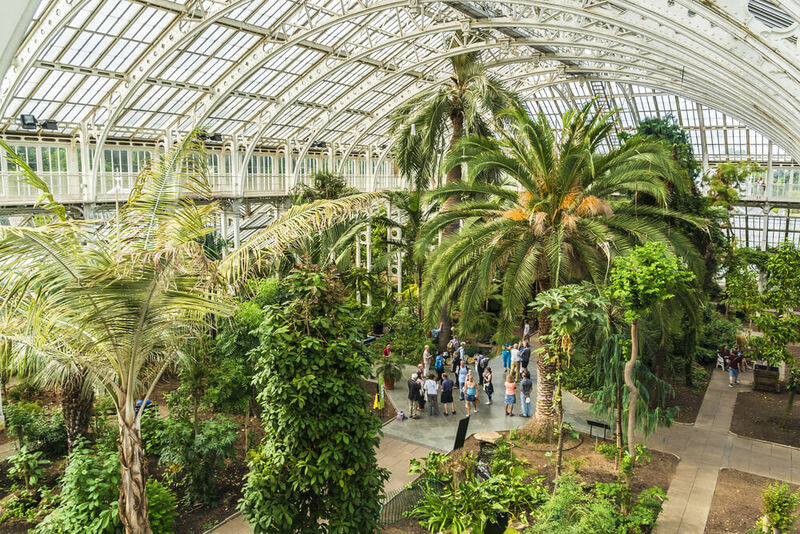 Visitors to London’s beautiful Hyde Park are in for a real treat when it comes to the range of impressive and unique attractions that this green and airy outdoor space has to offer. The Albert Memorial is perhaps one of the most impressive of these attractions, with its intricately carved and crafted facade depicting a host of classical figures from art, literature, poetry, engineering and all manner of cultural pursuits. Situated in the south-west corner of this popular London park, the memorial was created in the late 19th century as a commemoration of the life and influences of Prince Albert, consort to Queen Victoria, who died at the age of just 42 after contracting typhoid. Erected as a monument to her late husband, the structure was designed by Sir George Gilbert Scott at a cost of approximately £120,000 (the equivalent of £10 million today). Several unique aspects of the monument ensure it stands out as a shining example of Victorian design, with its impressive Parnassus frieze ensconcing the base of the structure and featuring an array of famous and classical figures. 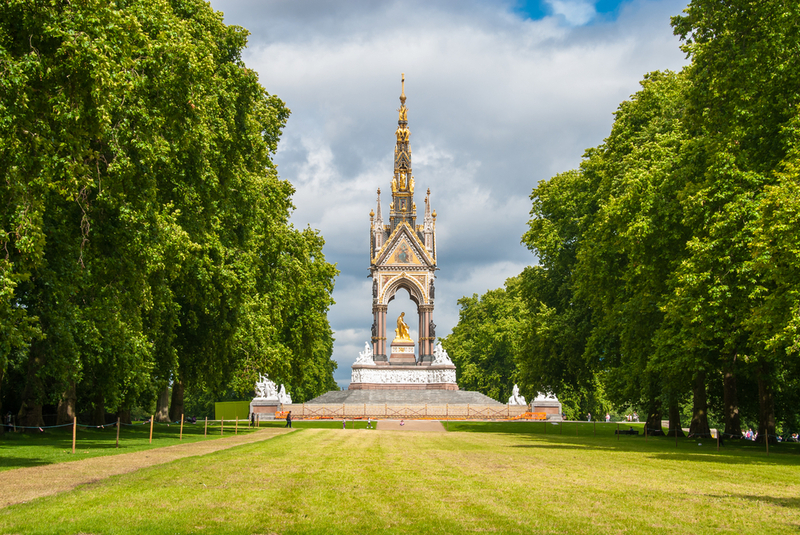 Albert Memorial is easy to reach for those staying in The Grand Royale London Hyde Park Hotel. At its heart is a statue of the prince himself, facing towards the south and holding a catalogue of the Great Exhibition, held in Hyde Park in 1851, which he inspired and helped to organise. A believer in the power of the arts to drive change and to enrich the lives of the people, the monument is one of the most ornate and impressive free-standing sculptures in the whole of the English capital and is well worth a visit for anyone planning a trip to the city. However, it is not just the Albert Memorial that continues to draw busy travellers back time and again to this popular part of the English capital, with many other outstanding attractions available for anyone heading to the area to enjoy. The Royal Albert Hall is just a few minutes’ walk away from the Albert Memorial and offers the chance for visitors to sample an array of theatrical and musical performances throughout the year. Meanwhile, other attractions of Hyde Park include the excellent Serpentine Galleries, a visit to the Diana, Princess of Wales, Memorial Fountain, boating on the Serpentine Lake, or a trip to the famed Speakers’ Corner. 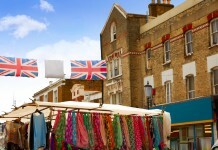 Other nearby attractions that individuals planning a trip to the area might also enjoy include a visit to the Natural History Museum, Kensington Palace, the Notting Hill Arts Club, the Wellington Arch, the Victoria and Albert Museum, and much more besides. Meanwhile, overground rail services can also be sought at both the nearby Paddington and Charing Cross stations, to the north and east of the park respectively. Public transport bus services also run around the clock in this busy part of the capital, with a wide selection of routes available for visitors keen to travel around the city on London’s iconic red double-deckers. Full details of local Underground, overground rail and bus services are available by visiting the Transport for London website. Information on station opening times, service operation hours, timetables and more can all be found there. However, one cause for concern that drivers heading into this busy part of London should be aware of is the fact that traffic volumes can be dense (especially during the morning and evening rush hours), while the number of spaces available for parking in the area can be limited due to popular demand. 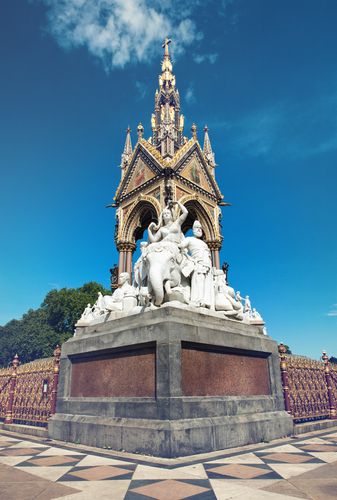 Share the post "See the splendour of the Albert Memorial"